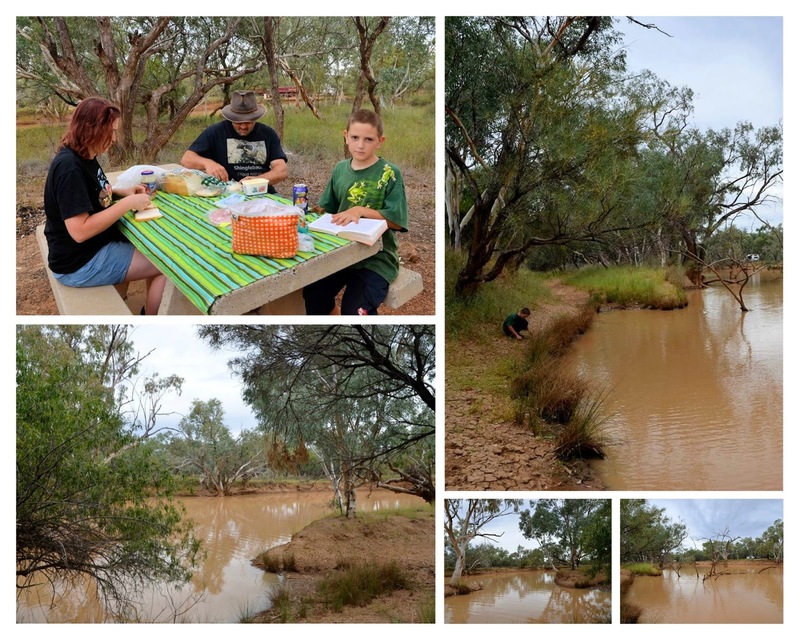 We picnicked on the banks of the Paroo River, just outside Eulo. I don't think we've stopped there before and it was a pleasant spot to sit. Vaughan ate quickly then spent time at the water's edge while we finished our lunch. I joined him afterward, to take some photos.